PORTLAND, Ore.— The State of Oregon has suspended operations on 10 timber sales in marbled murrelet habitat one month after Cascadia Wildlands, the Center for Biological Diversity and the Audubon Society of Portland filed a lawsuit alleging the state’s logging practices in the Tillamook, Clatsop, and Elliott State Forests are illegally “taking” the imperiled seabird in violation of the Endangered Species Act. To prevent additional murrelet habitat from being lost while the case works its way through the court system, the conservation groups filed an injunction request in federal court to halt sales and logging in the occupied murrelet habitat pending the outcome of the lawsuit. The State agreed to suspend three timber sales and to hold off on auctioning three others to give the Court time to consider the preliminary injunction motion. Plaintiffs have also recognized the State has taken things a step further by removing at least four additional timber sales in murrelet habitat from the auction block that were scheduled to be sold in the near future. The Endangered Species Act prohibits actions that “take” threatened species. Take is broadly defined to include actions that kill, harm or injure protected species, including destruction of habitat. The injunction request presents evidence that logging in the three state forests is harming marbled murrelets by destroying their nesting habitat. The logging operations were either already underway or ready for auction. The injunction motion requests a halt to 11 timber sales, constituting 840 acres of proposed logging in the three forests as well as a halt to any future logging in occupied murrelet habitat pending the outcome of the case. The injunction is necessary because significant amounts of murrelet habitat could be lost while the case works its way through the court system. 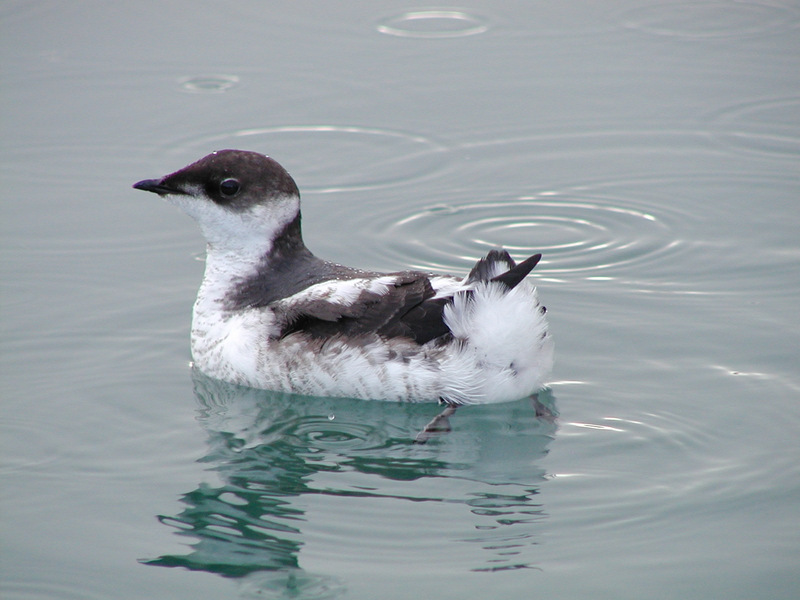 The most recent status review of marbled murrelets by the U.S. Fish and Wildlife Service found the birds have been declining at a rate of approximately 4 percent per year and that this decline likely relates to continued loss of habitat, primarily on state and private lands. Oregon recently abandoned its decade-long attempt to develop habitat conservation plans (HCPs) for the three forests that would have given it a federal permit for limited impacts to marbled murrelets in exchange for habitat protection measures designed to enhance the bird's conservation. Rather than improving habitat protections, the state turned its back on murrelets and other listed species altogether by walking away from the HCP process. The lawsuit seeks to force the state to develop a plan that will protect murrelets and the mature forests on which the birds and other species depend. The conservation organizations are represented by outside counsel Daniel Kruse of Eugene, Tanya Sanerib and Chris Winter of the Crag Law Center, Nick Cady of Cascadia Wildlands, Scott Jerger of Field Jerger LLP, and Susan Jane Brown of the Western Environmental Law Center. A copy of the preliminary injunction memo and motion can be found here, and more case background can be found here.